What could be more touching than a boy and his dog? Even if that "boy" is a grown man, losing his best friend is certainly difficult to get through. Remind a friend or family member that while his best buddy is gone from sight, the love they shared is still very real and present. 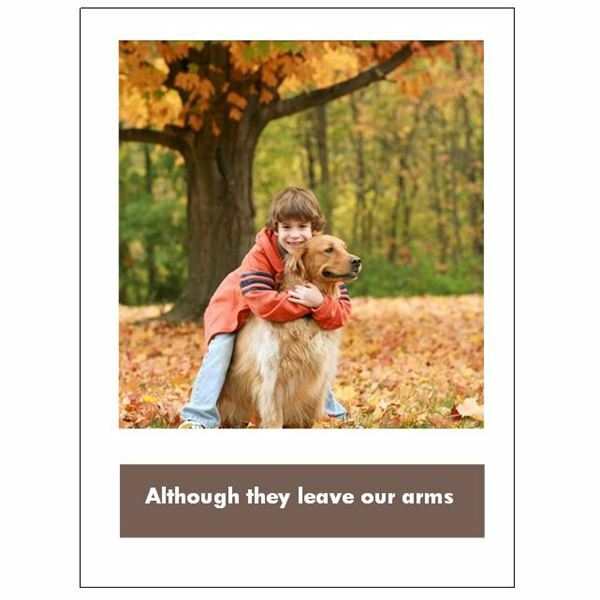 This pet sympathy card template features a smiling boy hugging is faithful, furry friend on a happy autumn day. Under the image are the words, "Although they leave our arms" on a brown background. Inside, the card states, "They never leave our hearts. So sorry for the loss of your precious dog." There is a grayscale closeup of the pairs faces on the interior left side of the card as well. A lovely way to customize this card would be to replace the image on the front with an image of your loved one and his or her pet. If the pet is a cat or another type of animal, simply alter the wording inside the card appropriately. A cat can cheer you up after a hard days work by lovingly rubbing against your legs, making you laugh with its silly antics or astounding you with its grace and agility. When the day comes that a faithful feline friend's purr will no longer fill its person's ears, the sorrow may seem palpable. This simple yet thoughtful sympathy card will offer your gentle condolences. The front of the card has geometric designs in shades of brown with the image of a cat in the lower corner. The words, "With Sympathy" are placed in the center of the front of the card. Inside are the words, "Losing a precious friend is never easy. May your memories bring you comfort. Sorry for your loss." This card could easily be modified with the image of another pet. You could also change the color scheme for a different look. This template creates another pet sympathy card for someone who has lost a canine companion. 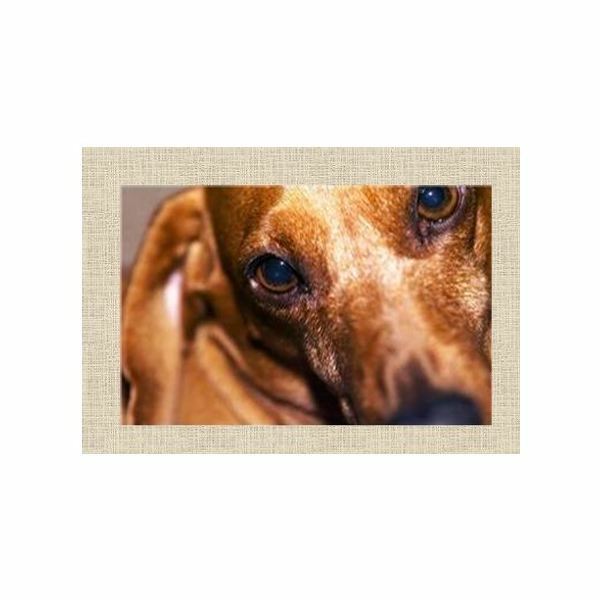 This quarter-fold, landscape card features the closeup face of a sad-eyed dog against a burlap background. Inside, the top of the card features a quote from Roger Caras, who was the 14th president of the ASPCA. The quote reads, "Dogs are not our whole life, but they make our lives whole." The lower section of the card's interior says simply, "So sorry for your loss." If you like the quote inside the card, but feel that the dog's big brown eyes might tug at your recipient's heartstrings just a bit too much, you can replace the image with one of your own or with a Microsoft clip art image; a dog that is the same breed or mix as your friend or loved one's dearly departed dog would be a thoughtful gesture. Another offering for a mourning cat lover is this template featuring an elegant black and white cat gazing out a window into the snow. 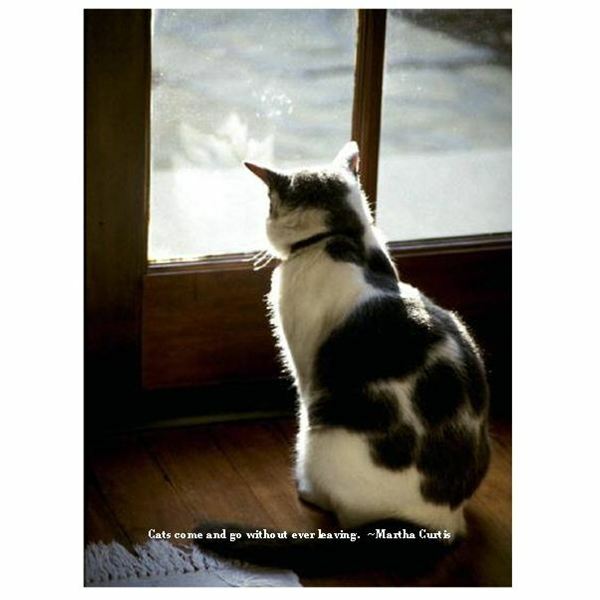 Beneath the cat and her reflection is the moving quote, "Cats come and go without ever leaving. ~Martha Curtis." A smaller, black and white cropped selection of the cat graces the left side of the card's interior. On the inside right, the card reads simply, "With Heartfelt Sympathy on the Loss of Your Cat." 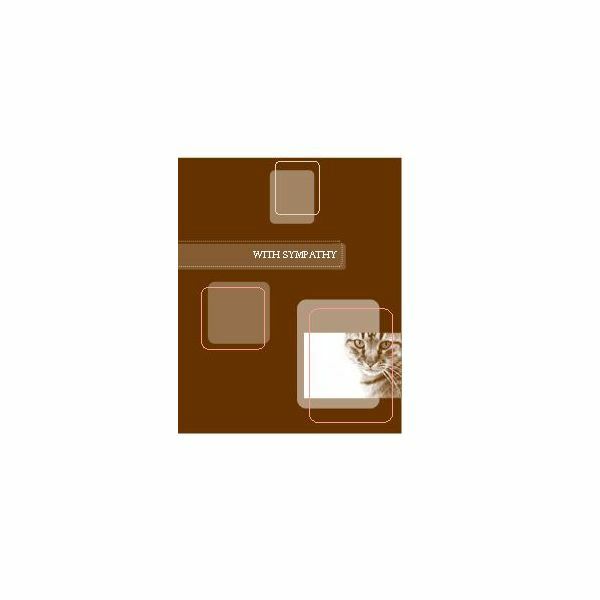 There is also a silver gradient border around the entire interior of the card that has a mirror-like appearance, mimicking the windowpane reflecting the face of the cat. Perhaps you need a pet sympathy card for someone who lost a beloved animal other than a cat or a dog. 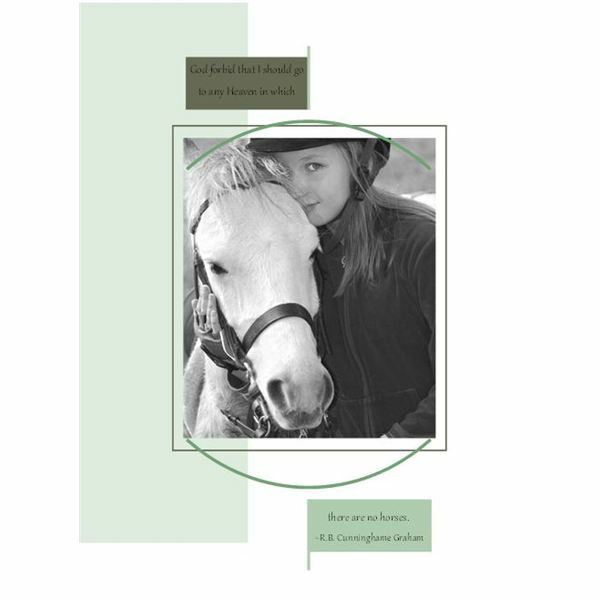 Here is a horse lover pet sympathy card with a touching graphic, poignant quote and caring words to offer your heartfelt sympathy. The front of the card features a sweet young girl lovingly nuzzling her horse, who is obviously just as smitten with her as she is with him. Geometric shapes in pale and piney greens border the grayscale image, and a quote by 19th century writer R. B. Cunninghame Graham. The quote reads, "God forbid that I should go to any Heaven in which there are no horses." The inside of the card features a pale green paisley background with the words, "With heartfelt sympathy for the loss of your best friend." If your friend or family member has lost a pet whose type is not listed here, you can modify any of these cards with an image and wording to suit. If you wish to add a more personal message inside any sympathy card, read Sympathy Card Etiquette: Dos and Don'ts for Card Design. Although the tips in this article are intended for people, they are appropriate for pet sympathy cards as well.